Thanks to multiple fundraising efforts following a devastating fire, Rabbit Hash General Store is many thousands of dollars closer to a $250,000 rebuild. 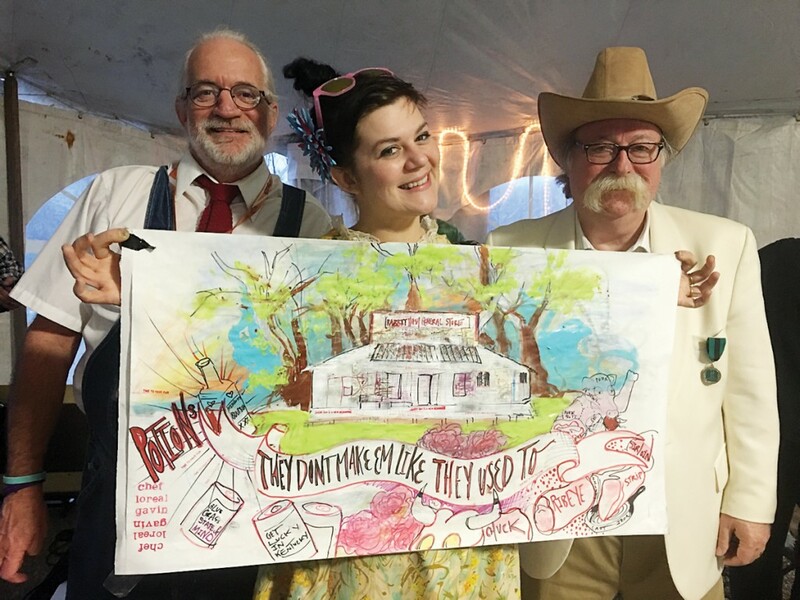 Hundreds of supporters contributed to the success of a benefit that raised $11,000 for the 185-year-old Kentucky landmark. A gofundme.com site has generated more than $60,000 in donations, and Duke Energy kicked in another $25,000. The fundraiser, dubbed the Rabbit Hash Bash, took place March 12 at the new headquarters of Colonel De Herbs & Spices. Guests enjoyed live music from local bands such as Mack West, Pappy’s Jam Band and Serenity Fisher & Michael Ronstadt. All the food was donated. The live and silent auctions included items from the store that were fashioned into memorabilia. Artists’ renderings and photographs were among the most popular items up for bid. And Food Network star chef Loreal Gavin (aka “The Butcher Babe”) painted a picture of the store during the fundraiser. “We are so thankful for this event and all the support we have been receiving since the fire,” said Don Clare of the Rabbit Hash Historical Society, which owns the store. The Feb. 14 fire destroyed the building, and insurance coverage was minimal. Restoration work has begun, with antique Kentucky lumber being used to replace destroyed beams. A working general store since 1831, the facility is the heart of Rabbit Hash, a quaint Northern Kentucky river town. Over the last 17 years, manager Terrie Marksbery has created a venue for music, antiques, gifts and cold beer. For the time being, the store has moved next door into a structure called the Barn. 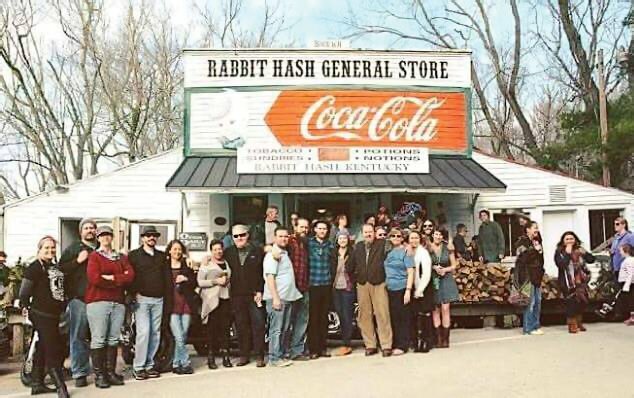 The Rabbit Hash General Store is listed on the National Register of Historic Places. We live near the four corners of Rabbit Hash on 338 south. We moved here from northern Indiana in 1994 when my kids were 6 and 10. … That was in April and we wouldn’t move until school was out. My husband would commute back and forth to his work until we moved. The first time he went down there he fell in love with it and tried to explain over the phone how peaceful it was down there and how it was a little bit of heaven.